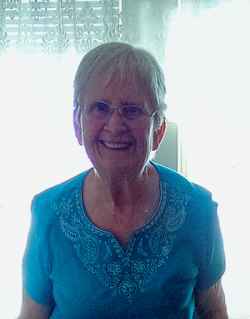 Bonnie Lee Mitchell, 72, passed away Friday, February 24, 2017, at Our Lady of the Meadows in Richford following a lengthy battle with dementia. Born in St. Albans April 3, 1944, she was the daughter of the late Grant and Marjorie (Cushman) Jacobs. Bonnie graduated from Enosburg High School and prior to her retirement, was employed as a book keeper at S. B. Collins for many years. A couple of her greatest enjoyments were camping and gardening. She was predeceased on February 14, 2015, by her loving husband, Daniel L. Mitchell. Dan gave Bonnie exceptional care, throughout her illness. He was devoted to her care and his wishes for her continued outstanding care were fulfilled. Bonnie leaves her children, Michele Tessier and husband, Todd, Linda Reed and husband, Michael, and Karen Samson and partner, Robert Spaulding, her granddaughters, Ashley and Jessica Reed and Kayla Samson. She also leaves two brothers, Gary Jacobs and wife, Karen, and David Jacobs and wife, Beth, brother-in-law and sister-in-law, Richard and Myrtie Dickey and several nieces, nephews and cousins. The family would like to express their appreciation to the staff at Our Lady of the Meadows and Dr. Amy Roberts for the compassionate care given to Bonnie. Expressions of sympathy may be made in memory of Bonnie to Franklin County Home Health and Hospice, 3 Home Health Circle, St. Albans, VT 05478.